Princess got a new Barbie. She says MOO!!! It’s summer! For anyone who grew up in the middle of nowhere and participated in 4-H has one thing on their minds. County. Fair. Time. I remember watching the corn growing around our house till it tasseled. That meant it was time for the good old Iroquois County Fair time. It was the best part of summer. 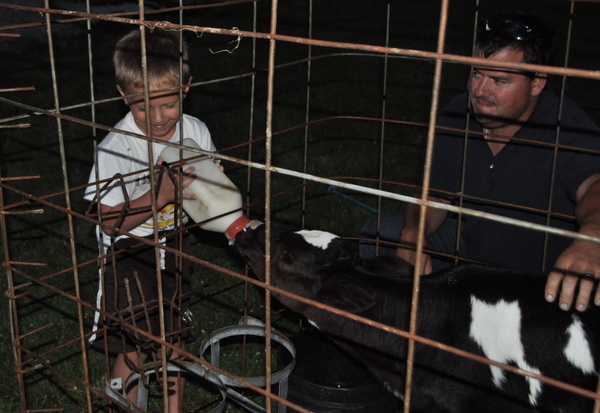 A big part of the fair was the 20 head of dairy cattle my brother, sister and I would have there to show. Well, now my kids are getting the county fair bug. Boo has shown a little brown swiss calf the last two years. And now the day has come for Princess to show. She is three now. 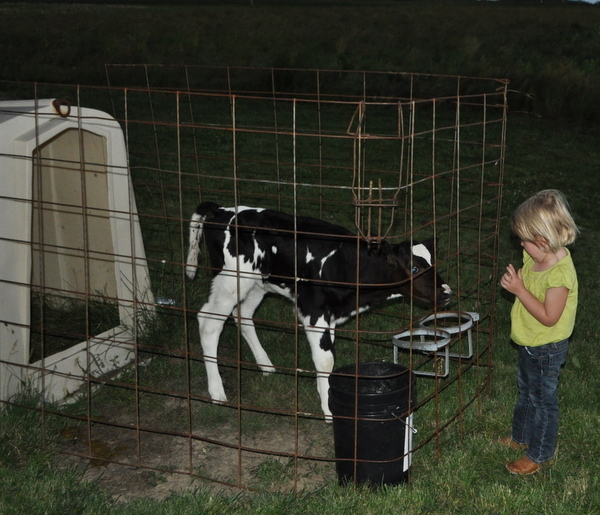 She is practically in preschool, so of course it is time to start showing cattle. Lucky for her we still have access to calves from heifers that are still around since we sold the cows last fall. I am proud to introduce to you Barbie. She is a three week old Holstein heifer. Can you guessed who named her Barbie? She is still drinking from a bottle. 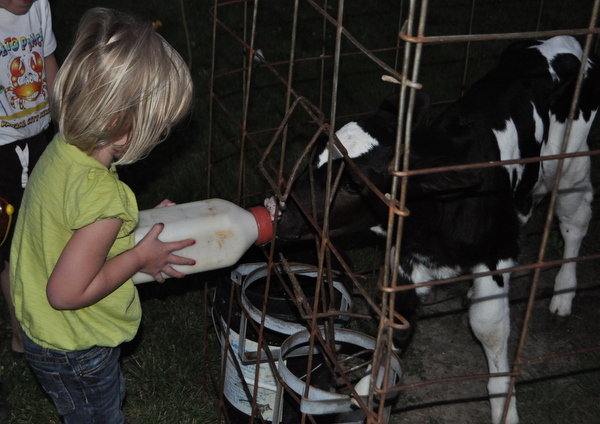 She has milk replacer since her mom is being milked at another farmer’s farm. Milk replacer is the equivalent to formula. It is a hard job. So, sometimes Princess has to call in the reinforcements. I wasn’t home when Barbie was brought to our backyard. The hubby texted me though to inform me that Princess had made a major life decision. 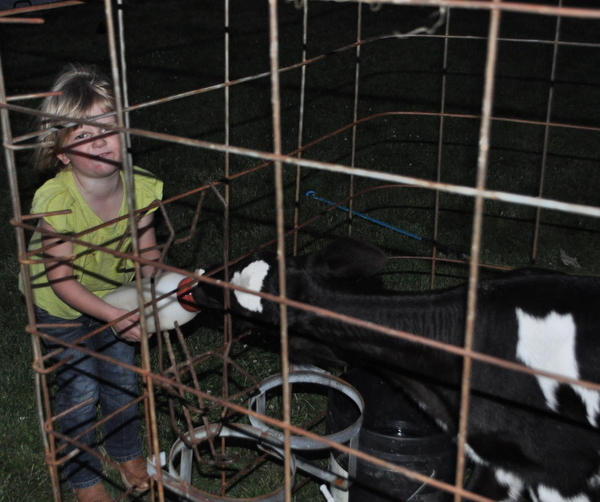 She told him that she wanted to be a cow farmer when she grew up. The kind that works all day and all night. She obviously is talking about dairy farming. I cried. But being a dairy farmer is nothing to roll your eyes at. It is constant. 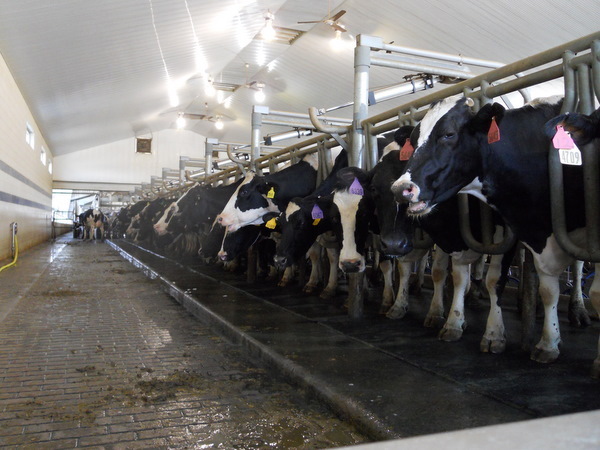 The girls need milked two to three times a day, everyday of the year. Everyday, even holidays and weekends. But, once you get the dairy bug, there is no turning back. Recently, I was able to tour a farm up north in Indiana. It is Four Leaf Clover Dairy. It was amazing. The family that runs the farm immigrated from the Netherlands. You can tell as soon as you meet them how much they love what they are doing. 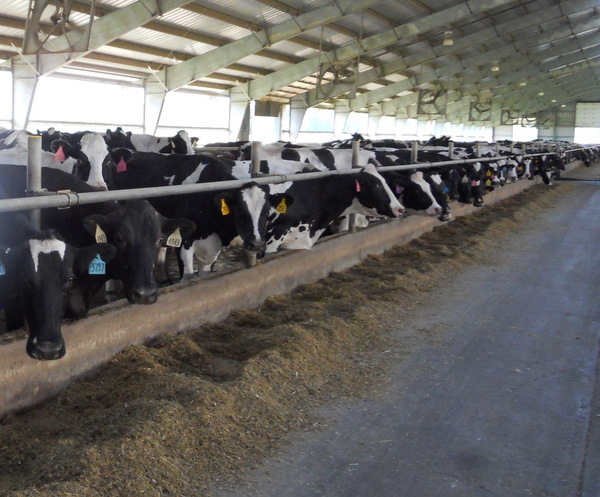 This farm also happens to be supplying all of us milk drinkers with some of the highest quality milk produced in Indiana. 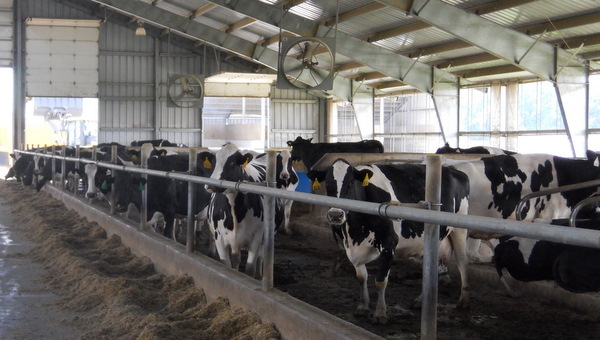 There were almost 2,000 cows on the farm producing 150,000 pounds of milk a day. That is around 18,750 gallons of milk!! These cows are happy cows. Just look at them. They get to lay in sand everyday. It is like being at the beach all summer long! Constant access to food. Check. That makes a girl happy! Strange people flashing pictures to entertain them. Check. Now get out of my face. 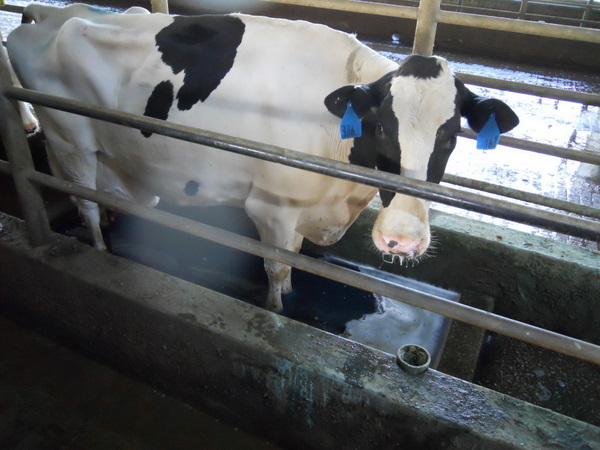 When the come back to their stalls from being milked, they even get to soak their feet for a while. Prepping for the pedicures they get when the hoof trimmer comes to the farm. To our amazement, I didn’t recall hearing a single moo the entire time I was there. Why was that? Because they had no reason to moo. They were happy. What is really amazing is their concern for protecting the earth. 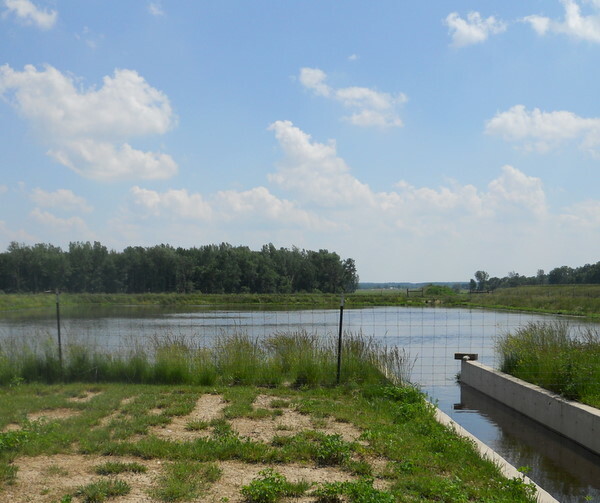 They capture all the water that comes in contact with the farm. They had lagoons, sort of like large ponds, that would collect the various forms of water. Here is a picture of the pond that collected all the rain water. Here is how they store some of the cows feed. 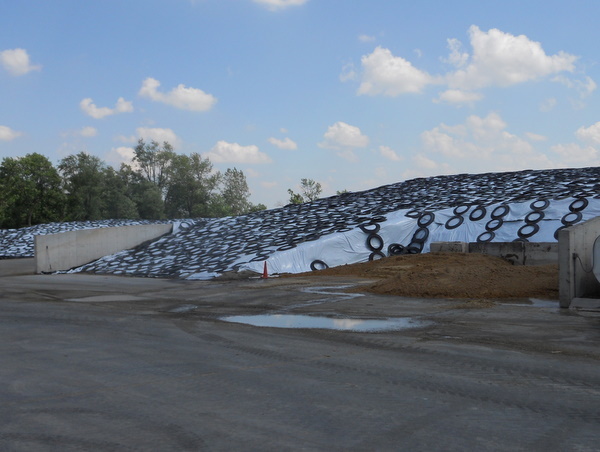 Since the main food they eat is corn silage, they have to put it in a big pile when they harvest it each fall. Pictures didn’t do it justice. 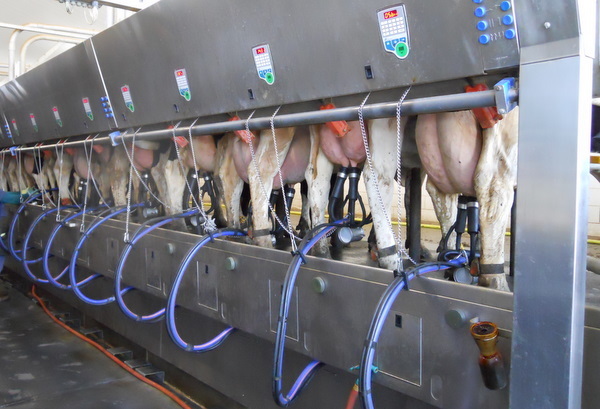 But, these girls have one thing they really like to do…get milked. They would milk 36 cows at a time. It was truly amazing to see how efficient the cows and people worked together. Trust me when I say they like it. They would try to run away if they didn’t! I know lots of people think big farms are bad, but unless you have visited one, you really can’t appreciate all these farms offer to their animals. I am thankful for this family and all they do to provide us with a safe, quality milk product. Some day Princess may be running one of these farms just like Leontien. Stopping by from Follow You friday, I am so jealous of having cows! I wish I could have been in 4-H as a kid! I would love to have a baby calf to raise… BTW I love your header, I'm a pirate fanatic! Now the question is will Princess be leading Barbie around, or will Barbie be leading Princess around??? I always enjoyed having a bottle baby around, hard work, but fun times! I can still remember my first calf! Her name was Doll… So, pretty much your princess is going to grow up to be like me! whuahhahah! 🙂 Sounds like we might see you guys at the fair! Very cool! 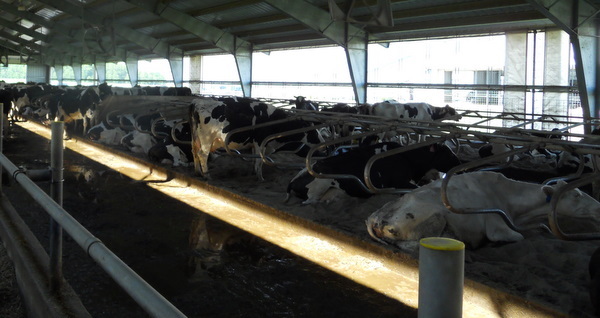 I've never seen a dairy farm before. How many people work on the farm? And I didn't know kids that young could show! My hubby showed calves, and I hope Adam wants to, too. awww, she's so cute with the cow! I LOVE the name Barbie!!! Great photos and great job of explaining the farm and all it offers its ladies. How exciting for your princess – I remember my first show calf too – great memories! 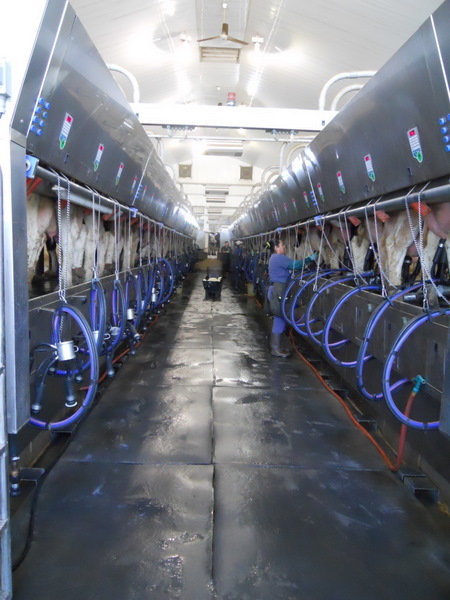 Also enjoyed pics from the dairy you visited. That parlor is huge and spotless, the place is gorgeous! Fun! We had bottle lambs named after the Teenage Mutant Ninja Turtles one year. Didn't show them, but did spend plenty of time feeding them! Boy is Barbie cute or what!! ADORABLE!!!! Oh and I follow you now thanks to Friendly Friday! It would be nice if you share back the love here!Happy Friday! H! Stopping by from Friday Follow. Nice to meet you. Can't wait to read more about you through your blog. Hope to see you around my corner of bloggy land. Great post! 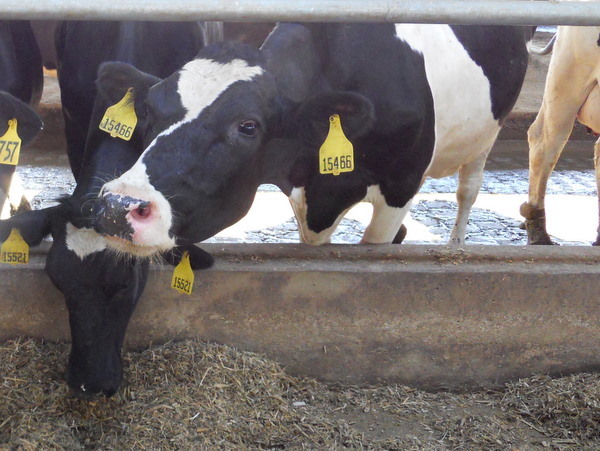 Have you been up to Fair Oaks Dairy for their tour? John had a tour up there with the Bovine Practitioners Interest Group, but I haven't made it there yet. So lovely!!! Glad princess is ready to put some long hours into taking care of the animals! It is evident that she has seen a few good examples of amazing work ethics… Hurray for some wonderful parents!! !